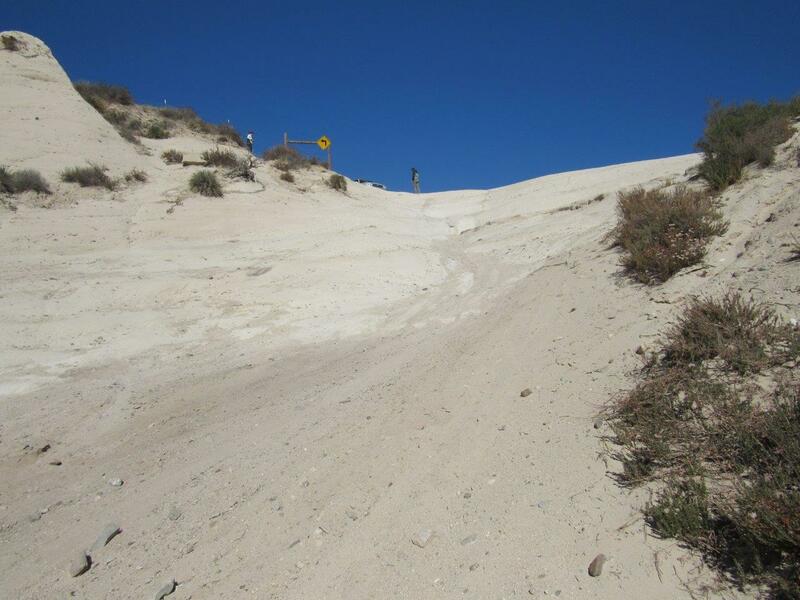 The Rock Wall Climb at Waypoint 2 makes Pronghorn Trail one of the harder and more popular trails in the Hungry Valley SVRA (State Vehicular Recreation Area). Hungry Valley is just outside of the Gorman and Frazier Park mountain communities in Southern California. Over 130 miles of motorcycle, ATV and 4x4 trails spiderweb throughout this 19,000 acre park. 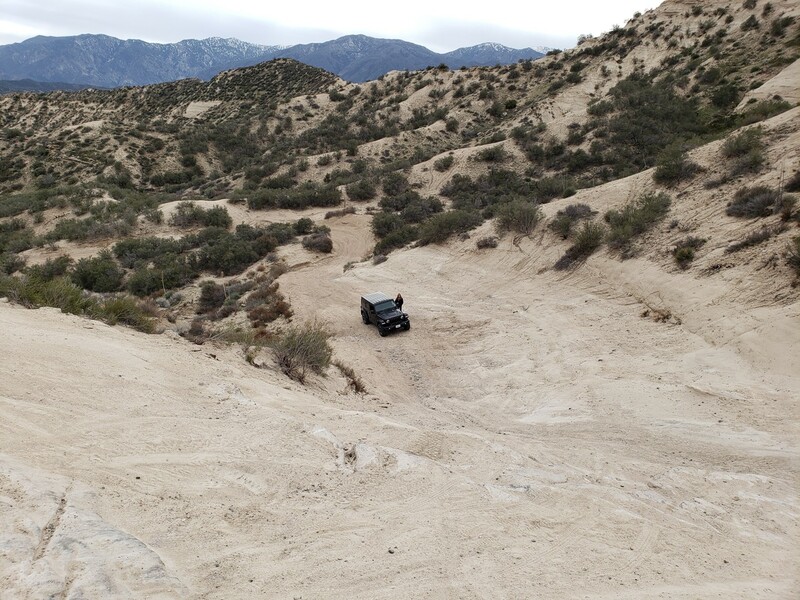 The park's trails include hill climbs, sand washes, wide dirt trails, narrow off-camber shelf roads and a designated 4 wheel drive practice area. The Pronghorn trailhead is on the northwest side of Pipeline Road. Watch for a break in the bushes and a sign at the center of the Y leading into Pronghorn. This is the reason you run Pronghorn. Or, maybe the reason you don't complete it. This steep, long rock face is what gives this trail a technical rating of 5. There is no bypass around this obstacle, unless you skip the entire south half of the trail. Continue straight to stay on Pronghorn Trail. The motocross track, flush toilets and sinks with running water are to your left. Continue straight to stay on Pronghorn Trail. The gate on the west side of the trail is the East Leg of the Quail Pass North Loop (currently closed). Just ahead is where the trail turns to a narrow shelf road. This turnout has space for 3-4 vehicles. This is a good place to stop and look ahead at how the trail cuts into the side of the hills. One last tight turn and a Steep Drop mark the end of the moderate section of this trail. It is easy riding from here on out. Continue straight (the middle trail) to stay on Pronghorn Trail. Pronghorn Trail ends at this locked gate. Cow Trail is to the left / north. This part of Cow Trail will loop back to Powerline Road, just northwest of Waypoint 7. From Santa Clarita; Follow I-5 north for about 26 miles. Take exit 195 for Smokey Bear Road. Turn left onto Smokey Bear Road. Turn left onto Pyramid Lake Road. Turn right onto Hungry Valley Road. After 1.2 miles on Hungry Valley Road, stop at the south entrance kiosk and pay the ranger $5 ($10 if you are camping). Continue straight about a half mile and turn right on Pipeline Road. Follow Pipeline Road for 0.6 miles and the Pronghorn trailhead will be on your right. There are multiple campgrounds scattered throughout Hungry Valley. All include tables, shade, fire-rings and vault toilets. All, with the exception of the Honey Valley Group Camp, are first come, first served and $10 per night, paid at the park entrance. The more desirable campgrounds here are Circle Canyon and Cottonwood Campground which have hills surrounding them, providing natural noise and wind barriers. 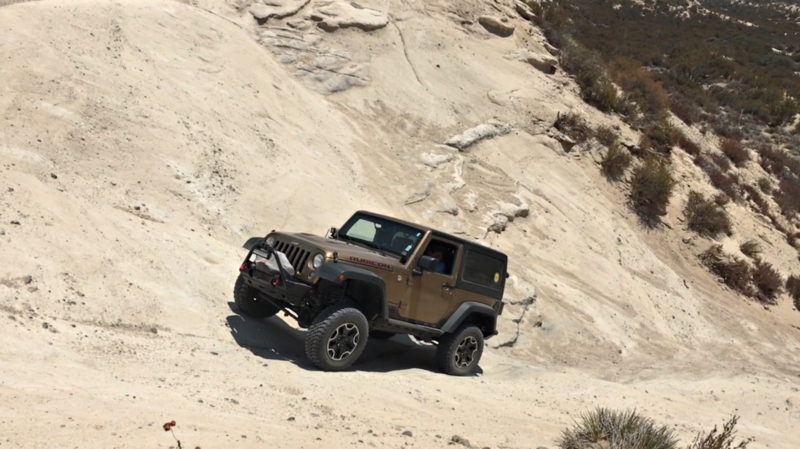 G. Martin, gm4x4 on Youtube , is a California native, born and raised in northern California and now living and wheeling in southern California. He enjoys exploring new trails and setting up camp in the remote outdoors. You may come across him in the middle of the Mojave Desert, the mountains of Big Bear, in the central Sierras near Shaver Lake or any other dirty, rocky road in the southwest. 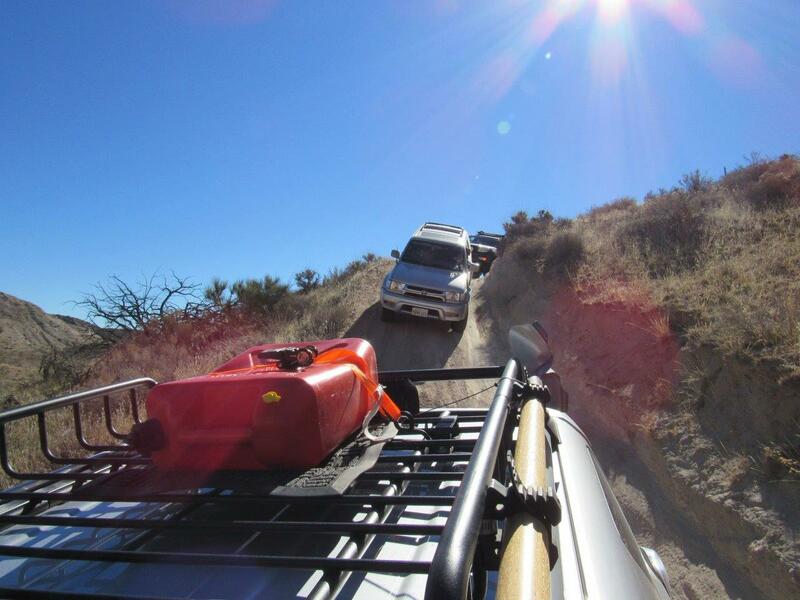 TrailsOffroad offers a focus point in G.Martin's offroad exploration. Q: Do you need a locker for that rock climb or can a stock 4x4 Tacoma with open diffs make it up? A: No lockers needed. Open difs will do it. Fun trail wasn't to hard for anything with 4lo all it was fun to watch the other group after us make it up as well. Stock tacoma made it up in crawl mode like nothing. Definitely going to visit again. Super fun, easy trail. 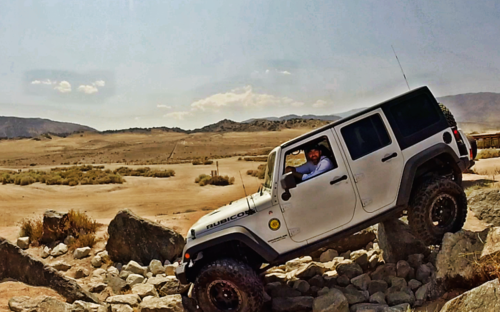 The only challenge was the large rock climb at waypoint 2, but my stock Wrangler Unlimited Rubicon handled it just fine. We continued along Powerline Road and made the loop around the entire main section of the park. Beautiful views and we were the only ones on the trail all day! 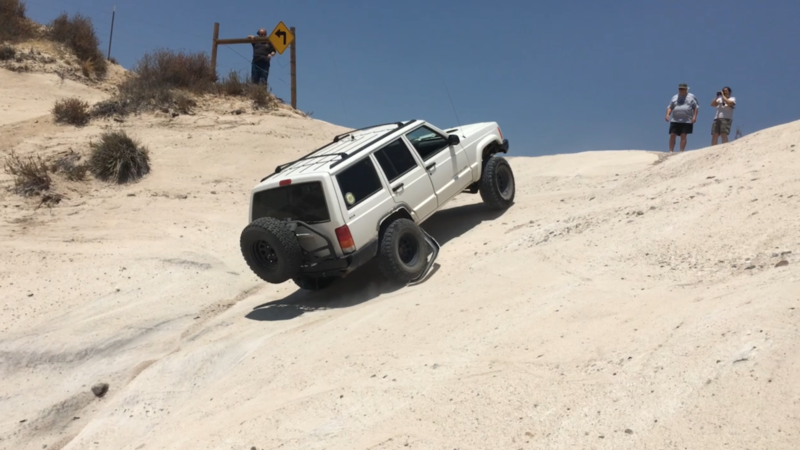 Fun trail. Anything with 4lo can do the hill climb easily, but be sure to pick a good line as it is possible to slide around a bit. 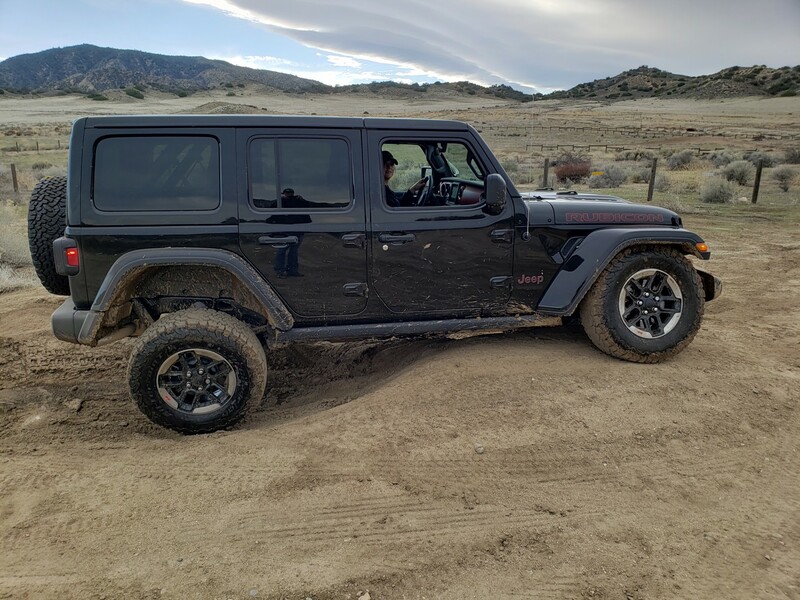 We did Pronghorn Trail while I still had my OEM street tires and had a blast! We came from the north (opposite direction of this report) and headed south, down the hill. 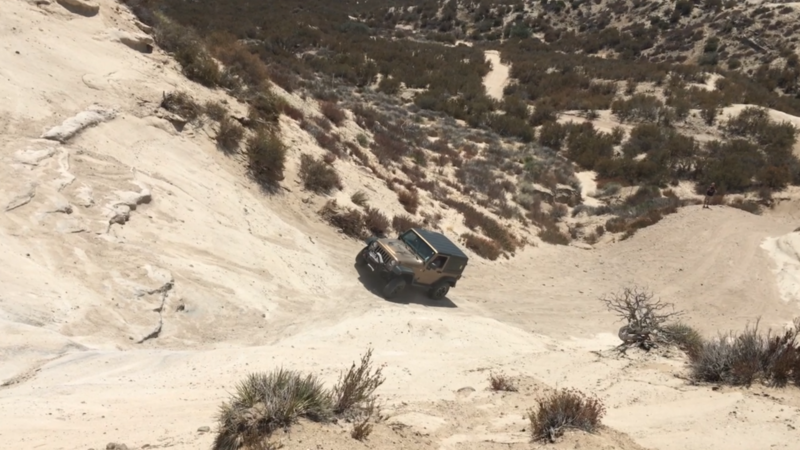 The pucker factor was up to about a 7/10 trying to get my truck into the correct position before heading down. We visited the motocross area too and watched as it was open to the public and there were quite a few motorcycle riders on the track.